Epilepsy means the same thing as “seizure disorders” and is a kind of disorder in which the nerve cell activity in the brain is affected and disturbed causing seizure. It is the fourth most common neurological disorder and is said to affect people of all ages as well as cause unforeseeable seizures. Treatment can help but this condition can’t be cured. 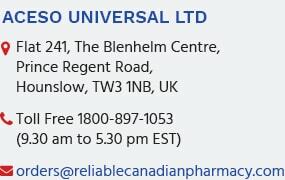 You can get high-quality generic epilepsy drugs at ReliableCanadianPharmacy with some amazing discounts.